The 17 SDGs are based on the principles of economic development, social inclusion and environmental sustainability. To achieve the SDGs in the next 15 years every country and every city will need to have unique, measurable, and evolving strategies to match its changing national priorities. New technologies will be needed, especially renewable energies and information and communication technologies (ICT). The ‘Business as usual’ attitude needs to change to encompass energy efficiency, decarbonising of electricity and switching from fossil fuels to ensure environmental sustainability. Smart phones are becoming increasingly important for information gathering for social inclusion. Global co-operation will be required to move from innovation, to mass use, and then to local adaption. There will be an annual review of each nation’s progress and a Heads of State summit will be held every 4 years. The Financing for Development conference in Addis created a structure that emphasised a range of financial flows to support the implementation of the Goals. AID will continue to play a part for the poorer countries. Coherence of international systems will be important - do trade rules support sustainable development; are intellectual property rights systems coherent with rapid dissemination and uptake of SD technologies; are multi-lateral environmental agreements like combating desertification being implemented effectively? Development Banks will play an essential role in assessing investments in infrastructure with the public and private sectors. Most implementation of investment will be through the private sector, and businesses, especially large multi-nationals, can embrace the SDGs effectively through adopting true value standards in business practice like stopping the use of tax havens, being transparent and honest, paying taxes and ensuring supply chains do not use cheap or slave labour. Business and Governments need to work together in the priority areas like universal health, quality education, and sustainable agriculture. Business & philanthropic communities will work with Universities to drive innovation and hence the dynamism of the economy. The Earth Institute at Columbia University is host of the Sustainable Development Solutions Network (SDSN). Partners with SDSN are the business community, civil society and government, all working together to promote solutions to Sustainable Development. The SDSN network will help speed innovation by becoming incubators of new business, creating more jobs and dynamism in the process. 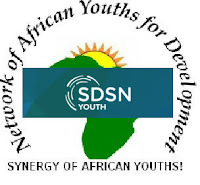 SDSN members will teach sustainable development, promote science and technology systems, and convene governments, business, civil society and leading scientists. NAYD is currently working with SDSN Youth to assess the needs of young Africans in implementing the SDGs in rural communities. Please help by completing the questionnaire.